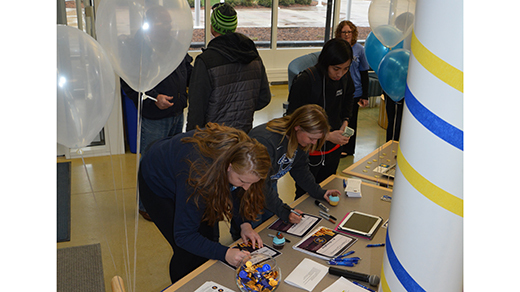 UIU’s third annual Giving Day launched at 11 a.m. Thursday in the Student Center at Fayette Campus. UIU’s third annual Giving Day has officially begun. Let’s work together and show how we treasure the gift of giving! We have the next 1857 minutes to secure 750 donations, unlock seven challenges and achieve a record-setting accomplishment. Go to uiu.edu/GivingDay and make a contribution before 5:57 p.m. CST Friday, April 12! In addition to making a gift and tracking our progress, we encourage you to share the excitement about UIU Giving Day on your social media pages by using #UIUGivingDay, change your profile picture and tell your friends and family. Everyone can play a part of making this a truly epic day for UIU!